I believe there are varying degrees of plant lady and floral is beginner level i.e. perfect for those who aren't quite as obsessed with plants as I am. 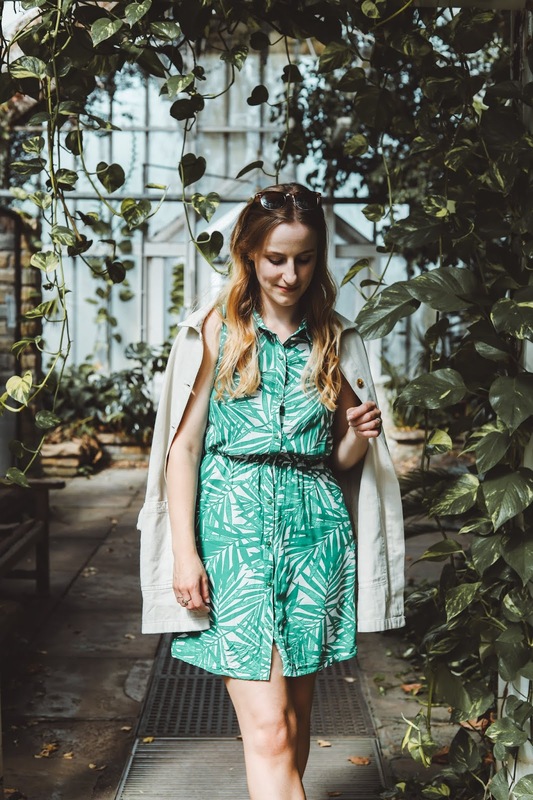 Florals are everywhere this season (not sure if I've ever used the expression 'this season' on my blog before and I definitely don't feel cool enough to) and I'm all for it, having already added a fair few floral prints to my wardrobe. 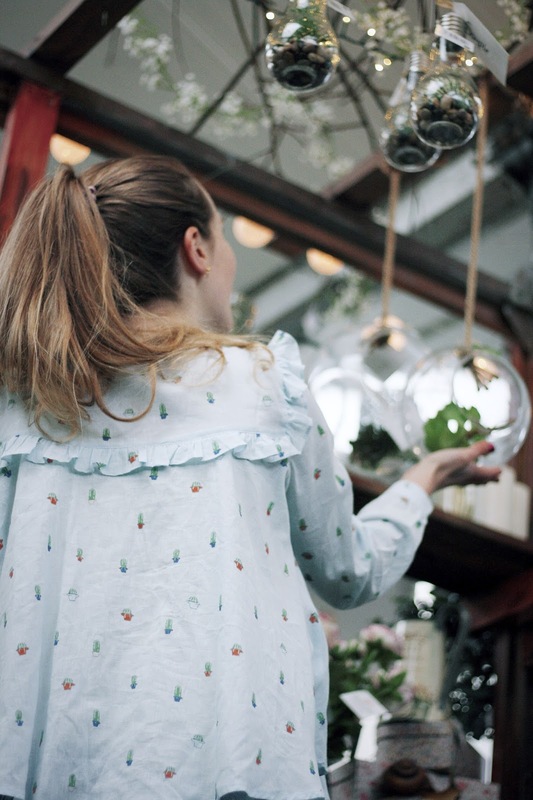 I think we need to take a moment to admire just how pretty this top is; not only does it have a gorgeous botanical print, but the bow detailing on the back is super cute and it's me in all my plant lady glory down to a t. I can imagine it being super versatile too; it would look as lovely left floaty with jeans as it would with a fancy skirt and heels. Here I styled it with this khaki skirt, which colour-wise compliments it perfectly, but adds a slight grungy edge to the look (I don't like to get too pretty if there is such a thing) and takes it to what I'd call 'everyday smart'; something you'd wear out to lunch (or for a trip to your local garden centre). Talking of the skirt, that's super versatile too; imagine it with a striped tee - yes please. To dress the whole outfit down for everyday I popped on these Tu trainers, which are old faithfuls and go perfectly with this outfit. 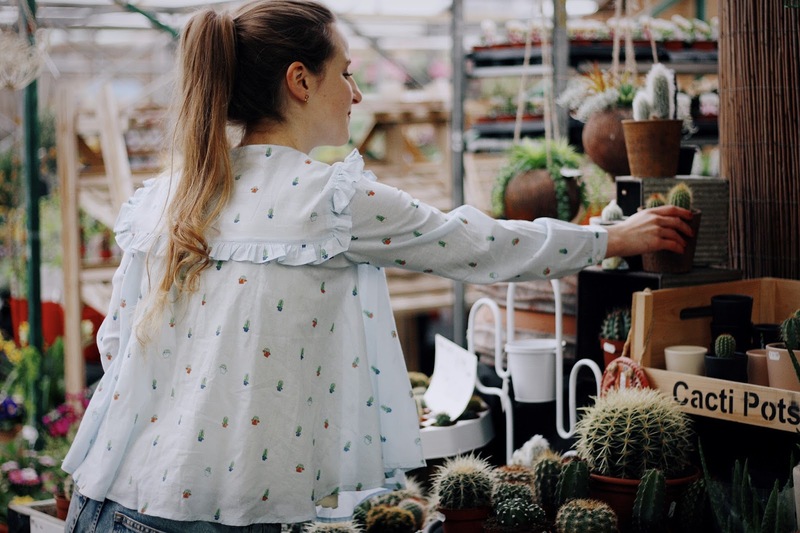 Cacti were my first plant loves way back when I was a teenager (I had one pesky one that used to get stuck on my clothes/curtains/fingers constantly) and I'm a sucker for a cacti print (I may have styled a couple of other cacti themed outfits on this blog in the past...). 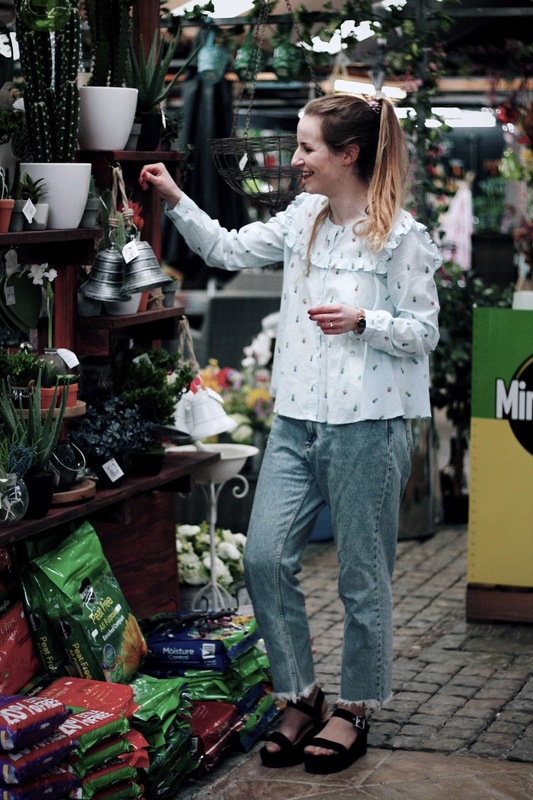 This blouse with the cute print, button detail and frilly front is the perfect plant lady piece - intermediate level I'd say. Again, it's so versatile because I can imagine it looking great tucked into a high waisted skirt (I very nearly styled this with the khaki one from the last outfit), but it looks equally good worn over jeans like these. 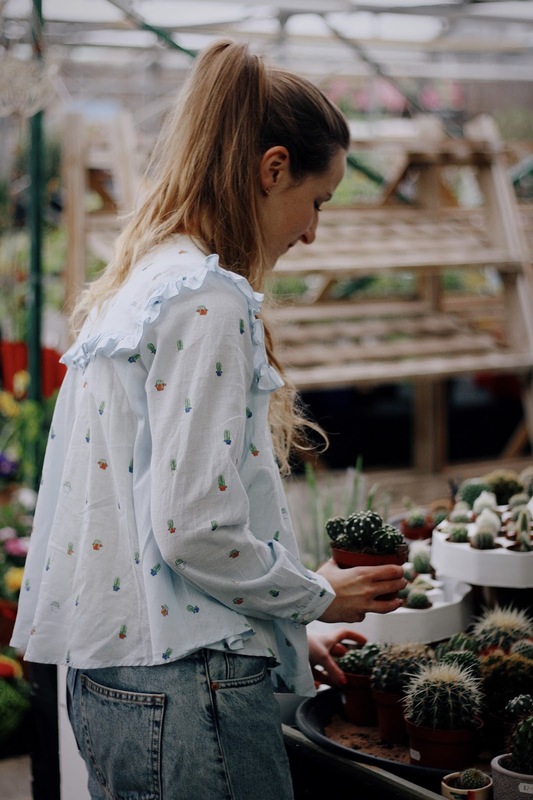 I've seen a few blouses this style around at the moment, but none with a print as cute as this so this one's for you fellow plant lovers. 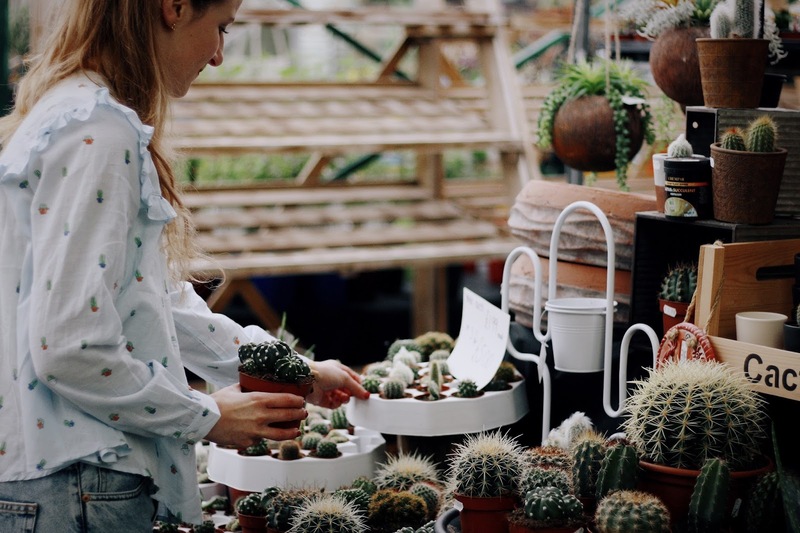 If you can't tell from the look of glee on my face in these photos, I was extremely pleased to find a stand full of cacti to photograph this against - thanks Southwood. These sandals are a new addition to my shoe rack; I used to have a pair of wedge platforms that I adored so I'm so pleased to have some more that I can wear to death. They add a bit of height while being completely and utterly comfortable, it's a wonderful life eh? 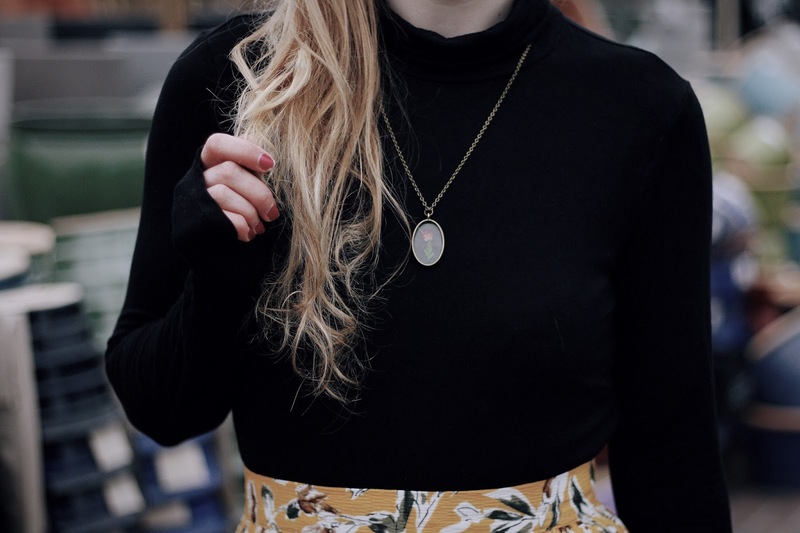 If there's one thing style-wise that's really grown on me over the past couple of years, (and that I've added a lot of to my wardrobe) it's midi-length items. I don't know why I never wore them before because it's the most flattering length, suitable for pretty much any occasion and just so darn easy to wear. 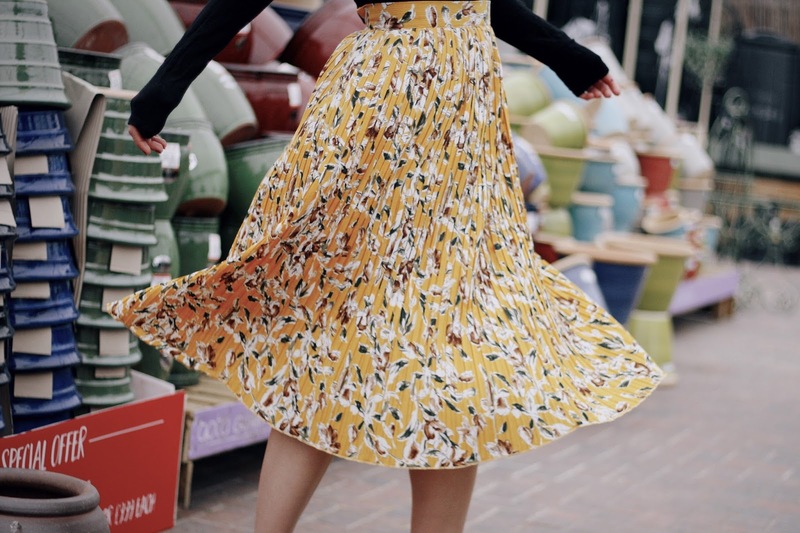 This skirt (which FYI also comes in navy) is the perfect pleated midi skirt and, as with all the other items, can be dressed up or down. When it gets a little warmer (*prays to the weather gods*) it'd look so cute with a little white tee, but as I was essentially outside in these pictures I felt the need to wrap up a tad more in this high neck H&M number. I kept the Asos wedges on because they went perfectly with the outfit (anyone else get an odd sense of satisfaction when their shoes match their top?) and twirled to my heart's content in the middle of the garden centre. If there's one thing I've learnt about putting together this lookbook, it's that botanical items are hella pretty and make me feel like the best version of me. 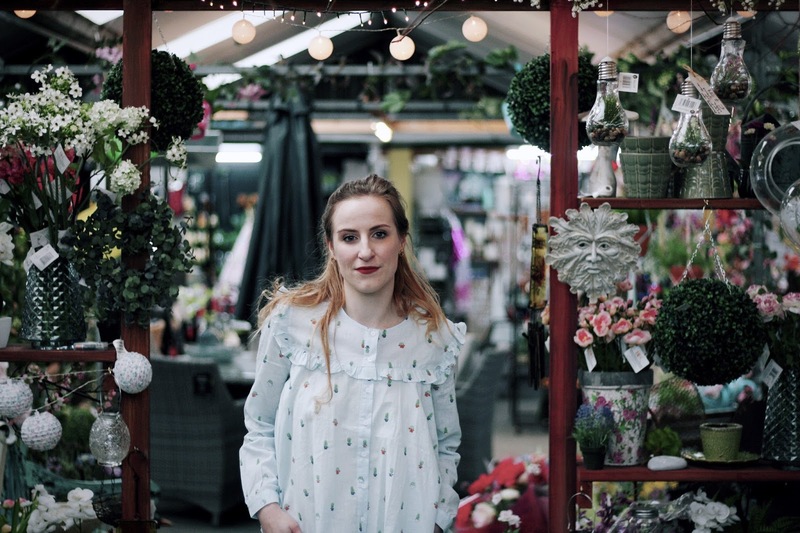 (And if there's another thing I've learnt it's that shooting in garden centres is a very good idea). 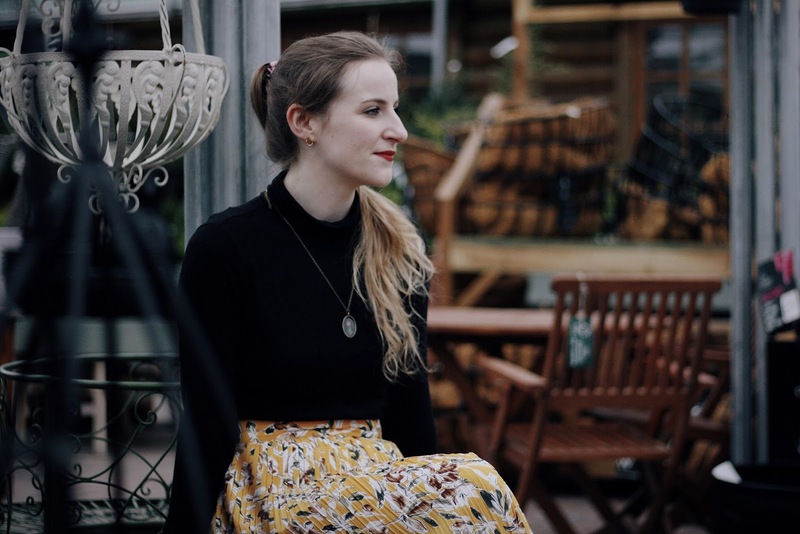 Big thank you to Tessies for working with me on this post, I'd love it if you popped over to their website to browse all their beautiful things. They're a lovely local independent shop, but they do free delivery and returns across the whole of the UK so it doesn't matter if you're not local! LOVE the first top! The print is so nice, and you picked such a good setting for photos. I'm not so much a plant lady (I never remember to water them regularly...) as just a floral print obsessive. 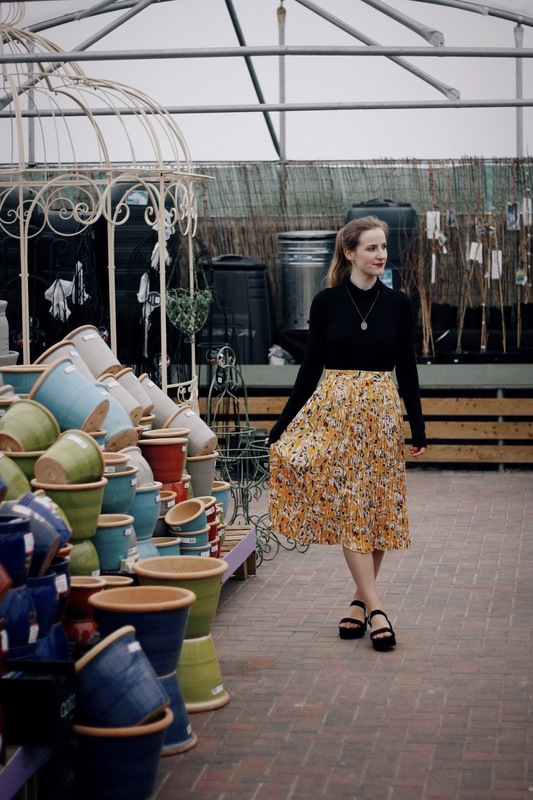 I own far too many floral pieces - can't get enough of them! AMY! You've totally redefined 'florals for spring'! It's now 'botanicals for spring' and I'm SO here for it! Well done gorgeous - all of these outfits are super wearable and I'm in awe of how gorg these pics are! The twirling-skirt picture makes my soul so happy!